Let's see how we would go about implementing that. First, we need to create an account on the Stellar testnet. What's a testnet? In the simplest terms, it's a blockchain intended for testing where you don't incur any real fees. 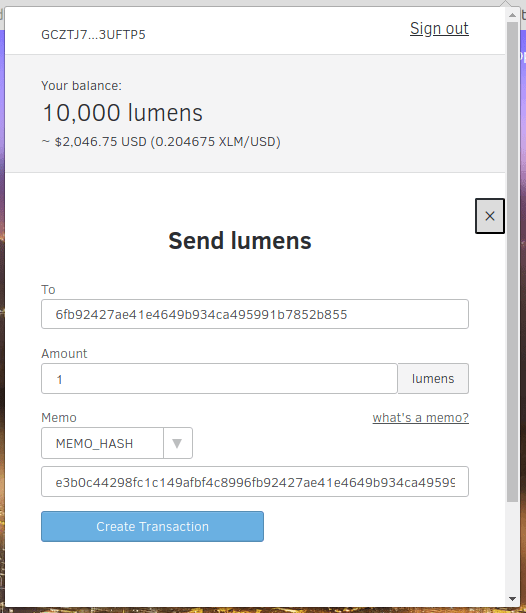 In this case, we'll load up our test account with 10k fake lumens for testing. We could directly take this post and have the user send it to our app's account by putting it in the transaction's memo field. Although it turns out Stellar's transaction only allows limited memo formats - Text (UTF-8 string of up to 28 bytes), ID (Unsigned 64-bit integer) or Hash (32-byte hash in hex format). So storing a large amount of text or JSON is out of the question. 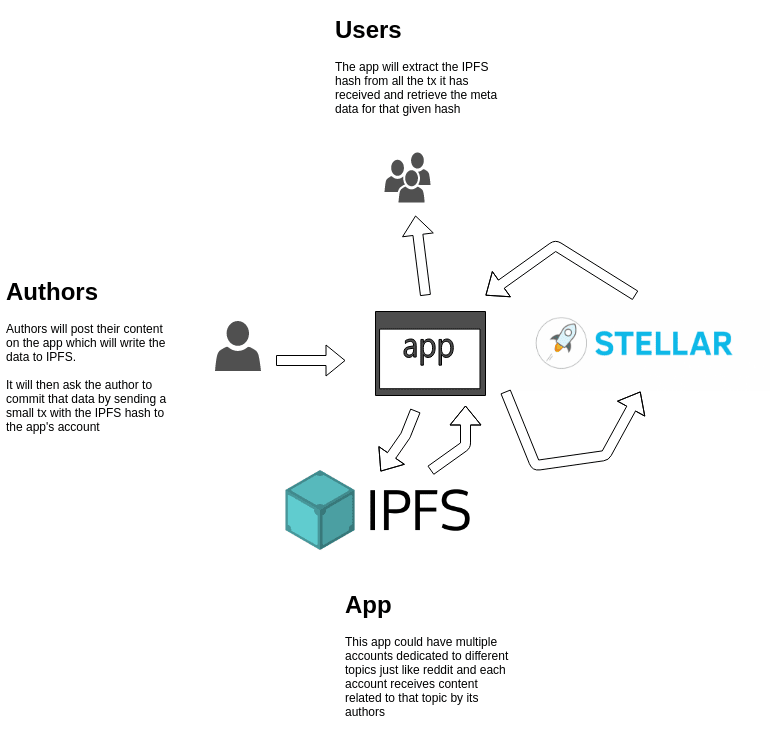 That's where IPFS comes in - a P2P protocol and network designed to store and share content in a distributed file system across all devices (think of it as a love child of git and BitTorrent). So it looks like we are not going to be able to add this in our transaction's Text field which only allows strings of up to 28 bytes nor are we able to use the Hash field which only allows 32-byte hash. Notice when we added our data to IPFS, we didn't pin it. Without pinning the post, our data will not be stored permanently on the IPFS node and will eventually be garbage collected. This architecture makes sure our data is decentralized but what about the app itself? If the app goes down, users could write another client that can read from that account's blockchain and pull the corresponding data from IPFS. 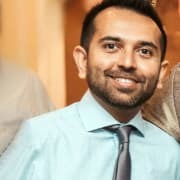 To build something more advanced we'd need to build it on a true dApp platform like Ethereum or NEO that have all the necessary tooling to make that happen. But with the recent controversy of Facebook data and user privacy, it's definitely time to think about how to build social apps that are decentralized. There's a lot of interesting work done in this space with projects like Datawallet, Blockstack, Akasha and others which will be interesting to follow in the coming years.